Mivi has announced its Octave, Moonstone and Roam Bluetooth speakers that come with varying degrees of IP ratings. Mivi has launched new Bluetooth speakers in India, the Octave, Moonstone and Roam. The three speakers come in Black and Grey colours and can be purchased from the company's website or Amazon. 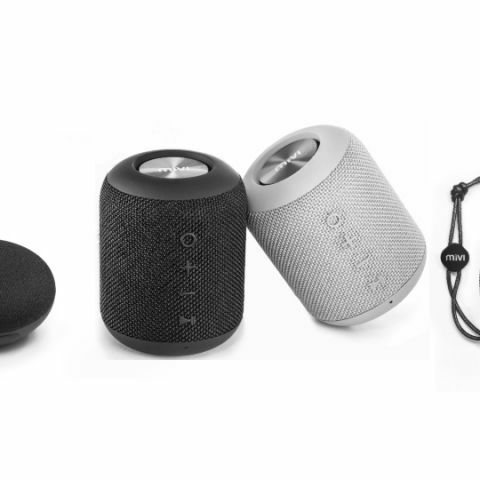 Mivi, the leading Indian electronic gadgets brand, today announced the launch of its three new wireless portable Bluetooth Speakers- Octave, Moonstone and Roam. The new range of speakers comes with unmatched sound quality, good battery life, compact design to let you enjoy music anywhere and stacks of attractive features, including dust and splash resistant. Mivi’s wireless portable Bluetooth Speakers Octave, Moonstone and Roam come in black and grey colors and are available for purchase on the company website Mivi.in as well as Amazon.in. Ultra-portable 5 Watts speaker with crystal clear sound and high output. Its compact design allows you to roam around and play music in all-weather conditions (Water resistant, IPX7). With the true wireless stereo (TWS) technology, you can pair two speakers for an extra powerful left and right channel. All this combined with long battery life­­ – lets you party anywhere and everywhere. Compact and convenient 10 Watts speaker with Super Solid Bass and clear highs. Equipped with true wireless stereo technology which allows you to pair two speakers for an extra powerful left and right channel. Stylish pebble design and build quality to complement your style. Dust and splash resistant with IPX5 rating for complete peace of mind. Last but not the least, it comes with a 6hrs playback time for you to play it on and on! An omni directional 16 Watts speaker for 360° immersive sound experience. It has best in class drivers and passive subwoofer for deep bass. Comes with a unique true wireless stereo technology which allows you to pair two speakers for an extra powerful left and right channel. Dust and splash resistant with IPX5 rating for complete peace of mind. Last but not the least, it comes with a 10hrs playback time for you to play it on and on! What is the best portable external storage device in India?